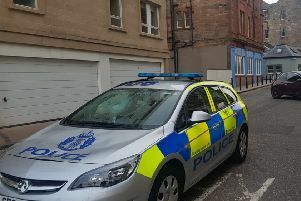 Police in West Lothian are appealing for information after an elderly man was targeted in a bogus workmen scam. Three men claiming to be from a paving and roofing company made off with a four-figure sum of cash after they carried out unscheduled work at the 76-year-old man’s property in Elie Avenue, Livingston, between Wednesday, 6 February and Thursday, 7 February. It’s understood the trio took £5,500 from the victim’s bank account instead instead of the agreed £550. When the pensioner quesioned the amount, the workers left the property claiming to get paperwork and a receipt, but never returned. The three men involved are all described as white, with Glaswegian accents and wearing hi vis jackets at the time of the incident. The first male was aged 20-30 years around 5ft 7”, clean shaven, with short dark hair. The second is 30-35 years old, around 6ft, clean shaven of medium build, and the third suspect is between 20 and 30 years old, 5ft 9”, clean shaven of stocky build. They were driving a red/orange pick up style vehicle and a white van. Detective Sergeant Lyndsey Beck from CID said: “This has been a frustrating experience for the victim who believed the men were working legitimately for a company. These criminals have exploited the trust of the public and used a concerning method to obtain a large sum of money. “We are appealing for anyone who can help us identify these individuals, or who has any information relevant to this investigation, to contact police immediately. “The public are reminded to never allow unsolicited callers to carry out unscheduled work at their home and never allow anyone entry if you are not entirely certain of who they are. If in doubt, check before agreeing to any work being done.